Venus enters Virgo: Get Healthy and De-clutter your Life! Venus, the planet ruling money and love, enters Virgo on 9th July, where it will stay until 6th August. Venus in Virgo loves to be productive... With Venus in Virgo, love gets practical and it needs to have a purpose! This is a time to get healthy and declutter your life! Love planet Venus in meticulous Virgo loves to be productive, to clean up an area and make it look respectable again. Do you have a room in the house, or some drawers that are jammed full with stuff and you keep on telling yourself you’ll get round to sorting it out one day? This transit of Venus in Virgo is a great opportunity to clear out and de-clutter. It’s a wonderful time for creating more order in your life and for taking practical steps towards achieving this. The best thing about this transit is that you will feel an immense sense of satisfaction when you do get started with doing all those little tasks you’ve been putting off. You’ll feel as though you’ve achieved something positive and your environment will feel uplifting and welcoming. What happens when Venus enters Virgo. This is a great time to beautify your home. For example, get some fresh flowers, a new plant, a painting, some brightly-coloured cushions, anything that will cheer you up and raise the vibrations around you. 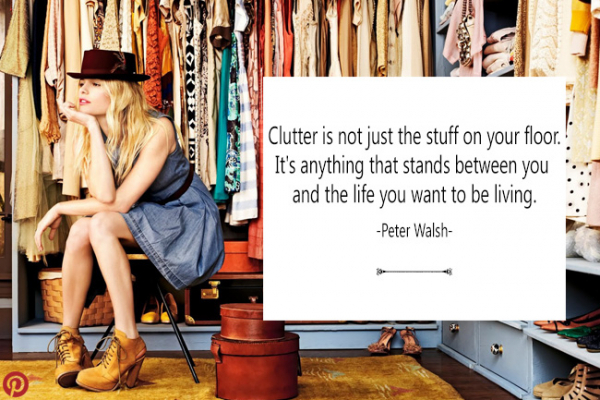 The process of de-cluttering very often brings extra money into your life. When one thing isn’t working properly, or is too congested, it blocks up other areas of your life as well, such as your finances. Maybe you have a garden that’s overgrown, some repairs that need doing, or anything on a practical level that needs to be fixed. If so, this can be done more easily during this three and a half week period. Virgo also rules your health and your physical body. This would be a wonderful time to go to the doctor or the dentist to get checked out. Did you know that many people suffer from allergies, lack of energy, chronic fatigue or painful joints, and they have just adapted their lives to put up with it? Are you aware that maybe some of the foods you are eating are causing you to feel sluggish? Maybe you are allergic to gluten, dairy, seafood, even sugar?? There are many different tests available that can help you to pinpoint some of your daily habits with respect to your health that perhaps are not serving you. Make the most of this transit by learning as much as you can, doing your own research, asking questions and resolving to make improvements to your well-being. Perhaps you are so interested in health and healing that you’d like to do a course, attend a workshop or get some training on it? Or you may even like to qualify in the medical profession as a doctor or nurse, or in the alternative fields such as homeopathy, osteopathy, naturopathy. Virgo rules these kinds of professions and is also the natural herbalist of the astrology zodiac. There are so many natural products available to us that can help with different ailments. Whilst allopathic drugs are sometimes necessary, they do tend to have many adverse side-effects. The advantage with naturopathic medicine is that it allows the body to heal from the inside out. It’s not for everyone, but during this transit, you might find yourself interested in learning more. Venus in Virgo is a good time to do anything that makes you feel healthier and rejuvenated. For example, get a massage, facial or reflexology treatment, go to a spa, or go on a cleanse. In relationships, Venus in Virgo needs to do something practical to show its love. It could be something like going out and buying a light bulb that needed replacing, or putting petrol in the car, or doing the shopping and cooking a healthy meal. VIrgo is all about perfection. In wanting perfection, it does tend to see all the things that aren’t working. If your partner or family members have annoying habits that drive you to destruction, you’re more likely to speak up now. Keep in mind that they may have some constructive criticism for you too. See this as an opportunity for growth and greater understanding rather than a nit-picking operation. If you are looking for a partner during this period, you may meet someone on a healing workshop or seminar, at the gym, in a yoga class, in the health-food store, at work, volunteering or in any kind of educational or learning situation. Because Virgo is always concerned with the details, make sure you are noticing more of the little things that you maybe take for granted. For example, a beautiful sunset, a smiling baby, a flower, children laughing and playing, a dog chewing a bone, a colourful display of food at your supermarket. It’s often the simple things that bring us the greatest pleasure and all too often we are so caught up with our cell-phones, emails and phone calls, and we don’t notice and appreciate all the beauty around us. Resolve to make it a habit to notice at least 3 things every morning when you wake up that you are appreciative of. It could be as simple as luxuriating for another minute or two in your bed and feeling the comfort and softness of your pillow, or getting into the shower and feeling the warm water cascade over your body, or preparing a nutritious breakfast and savouring every mouthful. These are the traits of Venus in Virgo so get healthy, de-clutter and appreciate the little things in life!